I love crocheting and have not done it in a while. Here is my new little crocheting project. 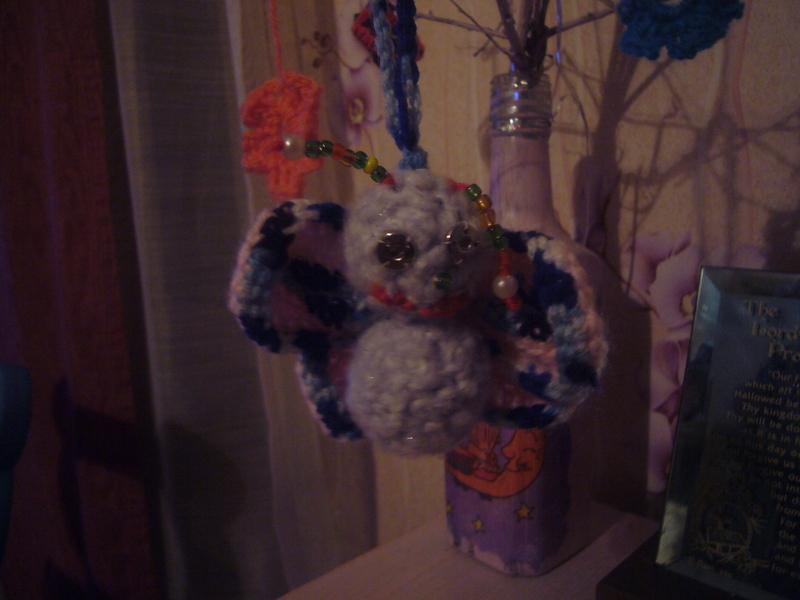 It’s a crochet butterly toy for my girls. It took me about half an hour to make this little guy. 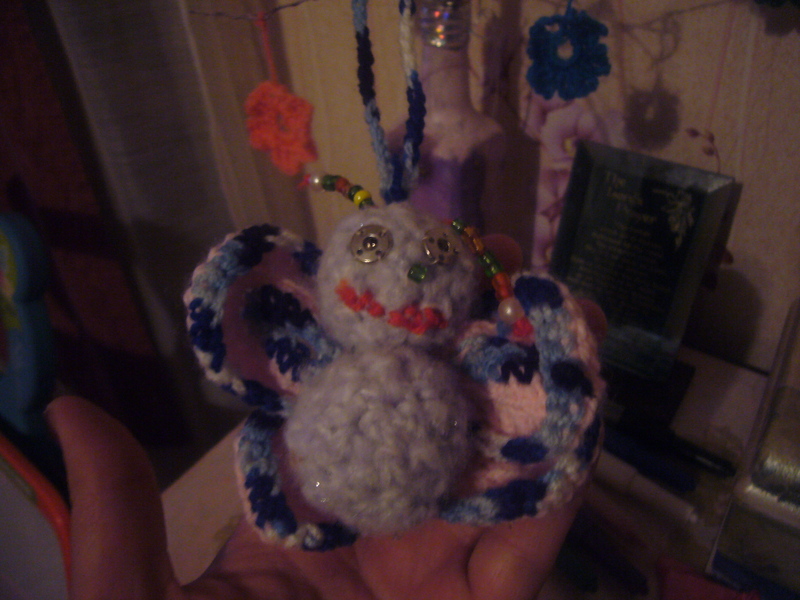 I just crocheted two large beads adn then addted four wings to it. It’s a very easy crocheting project for newbies and it’s an easy way to get little surprise ready for your girls in the morning. This entry was posted in Crocheting and tagged crafts, crochet butterfly, crochet toys, crocheting, DIY, handmade. Bookmark the permalink.